“So what is it that you actually do here in Haiti?” It’s a question that I get from every foreigner that I meet in the country once they learn that I live here. My first answer is always, “Well, I live here.” “Yeah, but…” they repeat, wanting to know what NGO I work for, what classes I teach, what orphans I care for, or what crime I committed that I’m hiding from. And lately it’s been tough for me to answer that question. I can tell them what I’ve done for the last 4 years working for Living Media, and the 2 years before that with HAPI, but now… now I’ve just been living. And it’s refreshing, but most people don’t believe it. Especially when I say that I’m an artist and a writer because obviously that can’t possibly support me to live here, so there must be some other reason. Well, newsflash, it doesn’t support me to the extent that I need. So I have, in fact, been looking at options lately that would require me to move away from Haiti for the time being. But at the same time, I’ve had plenty of wild ideas of things that I’d love to still do in Haiti if I was able to stay. Things that if I had the time, resources, and skills to do, I think that they’d be neat things to start here that could, in most cases, be good for the community too. So, not that any of these things will ever actually happen, because that time, resources, and skills thing can be tricky, or maybe they all will, who knows? Mostly they’re just fun to think about. But I’m sharing them anyway as a piece of my own process as I reflect on what my own next steps might be. Also, because I needed to post again and this one’s been sitting in my drafts for a while. So if any of my readers out there feel like investing in any of these ventures, let me know. Or if you just want to come drink some wine on my porch sometime. The only ‘bookstores” here are ones that sell textbooks for school in elementary and high school. You can’t find a bookstore that sells a good novel. There are always a few vendors out in the streets with a random assortment of second hand books published decades ago, but I’d love for there to be a cozy little bookstore in downtown Jacmel with books available in multiple languages. On one hand, as an expat here, I know that it’s something that I’ve heard other expats comment on how we wish we could find more books available that we’d want to read and have an opportunity to share with each other what we’ve been reading. Books are too heavy to bring in luggage when we travel and electronic versions just aren’t the same. But also, I really wish that books were more valued and available for Haitians. There is such a rich history of Haitian literature that students study in school but outside of that, they never come to understand books as being valuable or even enjoyable in real life. The literary culture of this country deserves more promotion in general. But then that also brings up a question of a lack of publishing sources here for young writers and others wanting to participate in that culture and become a part of that history. There are a couple options, but it would be great to be able to offer publishing services locally as well to contribute to expanding the literary tradition here. 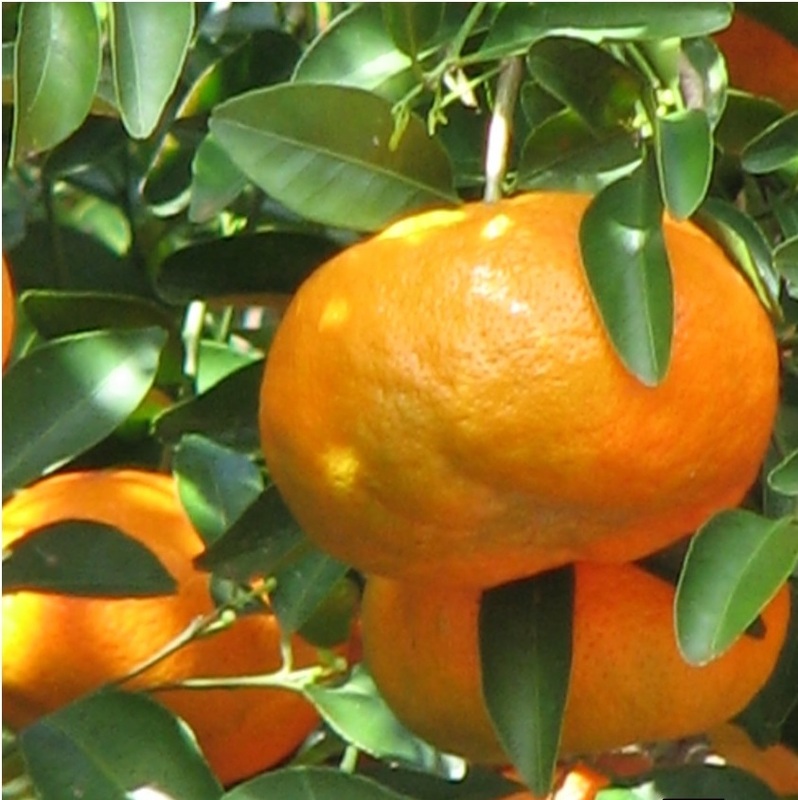 A while ago we held a mandarin festival here in Mizak with LaVallee de Demain, during which an experienced agronomist was the featured speaker and he discussed all of the potential that mandarins hold for creating different products. When he mentioned the delicious wine that they make, I was immediately inspired. Haiti has no wine. What they have is imported and tastes like Welches grape juice that sat on the shelf a little too long. It’s sad for a country that loves it’s gwog as much as Haiti. They’ve got great rum (and fresh coconuts and pineapples to drink it from) and a beer that’s won the World Beer Cup Gold medal twice, Prestige! But wine, nothing. And they have so much fruit that could make it, it’s really tragic that it hasn’t been invested in. Now, I know absolutely nothing about how to make wine, but ever since I heard that agronomist mention it, I’ve had visions of a mountaintop winery with a gorgeous view, a large patio with soft lighting and mellow Haitian folk music playing on the weekends. All with a variety of wines made locally from produce grown in LaVallee to sip on as folks relax from a week long of trying to survive in this crazy country. Ahhhh. This is one of the items on the list that is inspired simply because there is a perfect building for sale for it. Down in Jacmel in the historic district with all of the French architecture and giant iron doors, there’s a place that I looked at a while back that’s for sale and it just screamed “performance hall” to me. There aren’t many of those here that are really versatile and open to public use. And I know lots of groups in the area working in programs of theater and music that are constantly wanting a good performance space to use for their concerts, shows, and events. And this location would be just perfect so that there could also be an art gallery built into the space under the raised theater seating. All of that, and of course, there would also be a rooftop terrace for people to sip on their wines from #2. On the nights that there isn’t a performance or a gallery opening going on, people can still chill out on the rooftop wine terrace with a view of the ocean and the same soft lighting and mellow music. This would be a combination of my ideas from this post and this post. A more personal way to do mission trips and charitable donations. This would not necessarily be a network of required collaboration (although it’d be nice) but moreso awareness of others’ activities. It would be a group that nonprofits could belong to that could commit to a certain number of collective goals for the region that everyone could agree on working towards no matter what domain of intervention their nonprofit focuses on. Whether the organization worked in education, the environment, child care, the arts, social justice, or whatever it may be, they could all agree on some bigger picture sort of objectives for the region that they all agreed to uphold and some principles that they would agree to allow guide their work, one of which might include collaborating with other nonprofits when possible. It would provide a pool of skills and ideas that would edify the work of all of us while at least admitting that yes, we all are in fact here and we are all in fact working for the greater good, and we all want what is best for the population of our region. Sometimes it seems too many nonprofits are functioning with the imaginary belief that none of the others even exist. It’s not healthy for anyone. I think it would be beautiful if there was a more unified force moving between them all. There have been efforts towards this sort of thing but nothing ever really sustainable materialized. This would be an opportunity for local businesspeople to have a say in what charitable activities take place in their own community. It would provide them a platform to make their voices heard in deciding the priorities of community projects as well as getting involved directly by helping to provide and raise the funds needed to carry out such projects. It would put the control in their hands to guide the direction of the development that is happening in their own neighborhoods while providing them access to the network of international aid that often overlooks them as resources that are already locally available. It may be a bit of a pipe dream to believe such a thing would actually be possible, something that would require collaboration between the profit and nonprofit sectors, the local and international sectors, when collaboration seems impossible enough just within each of those sectors on their own. But I’d love to give it a try and I think in my community here the right individual’s exist that would at least be willing to give it a try with me. This is another one that is inspired purely by the perfect location oozing with potential, certainly not because I have any particular skills in the hospitality industry. And, maybe there isn’t really a demand for another one of these, there are other very nice hotels in the area, a couple even on the beach. But the two beautiful, large, hotelesque buildings for sale right next door to each other that I drive past every time that I go to the beach are begging to be transformed. And sure, there may be others, but mine would have delicious locally made wine available to sip while you lay in hammocks on the beach, with better music and art than the others. I have a sickness. 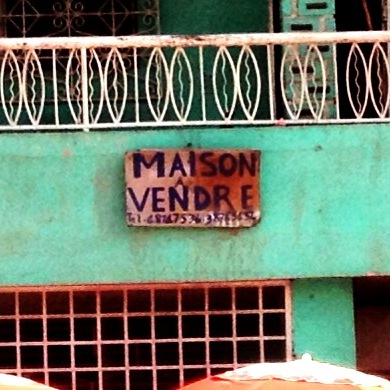 Its symptoms include wanting to buy or rent absolutely every building in the Jacmel area that I see marked as available for such. There are so many beautiful buildings for sale or rent here and each time that I see a sign hanging out front of one I immediately start thinking of all of the things that it would be perfect for. (Prime example, #3 and #7 on this list). I was recently sitting on the beach enjoying my Sunday Funday when a Haitian woman (diaspora) handed me a business card for a reality business in Les Cayes Jacmel which I received politely with a smile on my face, but inside I was thinking, “Screw this, I could do so much better!” Why could I do better? Because I am an expert at taking things that other people see as lost causes and seeing the hidden potential in them to bring out the beauty that lies within. There are places in this area that no one else would mess with because they’re still damaged from the quake, or they are overgrown with weeds and mildew. Being an artist I’m able to see what they could become rather than getting stuck on what they are. And with a little elbow grease, this region is full of places that could become absolutely extraordinary locations usable for a number of reasons and the region itself is exploding with reasons for new people to come invest in it and move to it. All it would take is the funds to start with one building. I’ve been begging my soccer team to help me make this one possible for a couple years now, but there just isn’t the land available in our area to do it. There’s money to be made in it, and also a need in the community, not just as a soccer field but also as a performance space, but it would also require a large investment upfront to actually create the space since it would require some heavy duty machinery to make a flat space large enough. The only field that the community has right now for soccer is much too small and the family that owns the land are never very cooperative when it comes to its use for community soccer events. Ever since I’ve been here people have been talking about how they need a better soccer field but so far, even though I’ve looked into it, it certainly wouldn’t be easy. But not impossible, so I still keep it in the back of my mind. I wrote about this idea a bit in my Soul Poop post. It might even be an idea that I will have the most trouble letting go of or ever admitting that it’s not reasonable. When you stand there on that bluff and look off into the distance, it’s impossible not to have some sort of spiritual encounter. And it’s one thing that I think would be very different to the other types of accommodations available to visitors to the area. Rather than just a place for tourists to stay, it would be a place for people to actually search out for the spiritual experience of being able to feel closer to God, closer to yourself, closer to the earth and the energy that moves through it. Yes, I think that it needs to happen and it just might be possible that I’ve already priced plots of land and drawn up building plans and picked out the tile that I’d like to have on the dining room floor, but it’s all still just a nice idea. A nice idea that makes my soul feel so damn full that I can hardly contain it. Okay, I’m already doing this and there’s nothing you can do to stop me. Contact me for orders. The honey is delicious. So there it is everyone, I’ve welcomed you into my process as I try to figure out what it is that I really do here. Do you like any of those ideas? Want in on any of them? Contact me to talk about any of them. Leave me a comment if there’s something you think this country could use but no one is doing yet. I’m probably crazy enough to give it a try. Storytripper!!! (of course! as I am a Storyteller and 100% understand the value of listening and learning through shared Stories) And the Winery/performance space!! And YAY for the Honey. I’d be IN on the Storytrippers idea and ther winery. HUG & thanks for sharing some awesome ideas! Excellent post! Thank you for the insights…..
Add one more: Tilapia farm. I understand they’re warm water creatures and Haitians can always use more protein. Look st CEN Haiti…. they are the start of coalition beginning in order to share ideas, projects etc!!!! I think your ideas are wonderful.I am from montrious Haiti and I wish everyday that I was rich because I want to start a few projects there, I love your theatre idea.I have thought of a banquet hall for weddings,parties,etc; American cuisine resturants, orphanages,laundry mat to list a few.haiti has so much potential and I believe if it had things like we envision for it, the people would have hope due to the job opportunities that our ideas would provide.All this could happen one day and if we are lucky hopefully we will be part of it or at least live long enough to see it happen. excellent post. You are absolutely correct, Hait is rich in culture and lacks so much. many of the ideas proposed would create job opportunities for the people of the country.